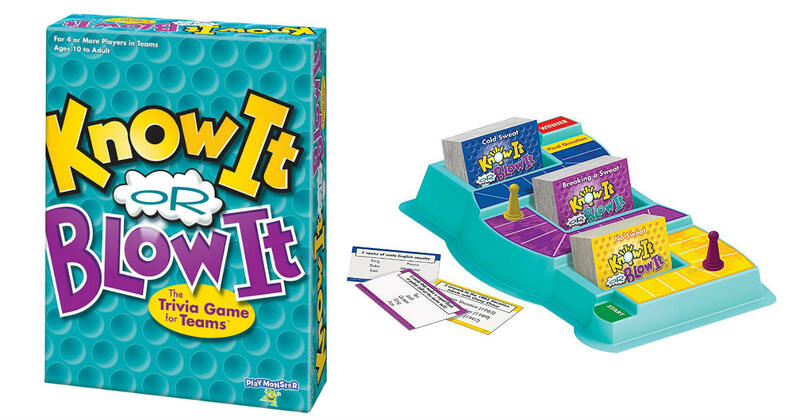 Get this highly-rated Know It or Blow It game for only $11.97 shipped on Amazon, regularly $24.99. Includes 288 question cards, game tray, 2 pawns, and rules. If you know it, give an answer; but if you're not sure, think about stopping and taking any points your team has earned so you don't blow it!